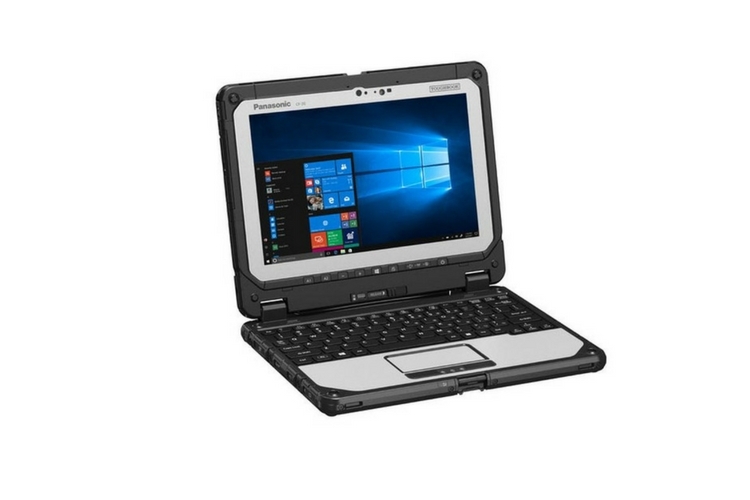 Panasonic’s Toughbook laptops are legendary for their ability to withstand a range of challenging conditions. And even though they are typically heavy and quite expensive, there’s a niche segment of users for whom the Toughbooks are just the right devices. So that’s why Panasonic continues churning out more of these laptops. The company has announced the new CF-20 Mark 2. This Toughbook is an updated version of their smaller 10.1-inch Toughbook, the CF-20. As you would expect, the new Toughbook CF-20 Mark 2 has some modern features that make it better than the previous iteration. To begin with, the Toughbook CF-20 Mark 2 features a 10.1-inch screen in a rugged, 2-in-1 convertible tablet form factor. Talking about the specifications, this laptop is powered by seventh-generation Intel Core i5-7Y57 vPro processor, 8GB RAM, and a 256GB SSD. The display on the front is a touchscreen panel with a resolution of 1920 x 1200 pixels, and it also works with gloves. The laptop is also available in an optional 4G LTE connectivity, which makes sense considering the fact that these laptops are made to be used out in the field. The Panasonic CF-20 Mark 2 is rated for military grade MIL-STD-810G specification. A quick Google search on MIL-STD-810G specification will tell you that you’ll be able to use this laptop in extreme conditions. And it is also IP65 certified for dust and water resistance. Talking about some of the features, this new Mark 2 model comes some modern features like Windows Hello with both visual and Iris sensors. This new model also an improved camera and better keyboard. The new CF-20 Mark 2 also has 17-hours extended battery life, thanks to the second battery. 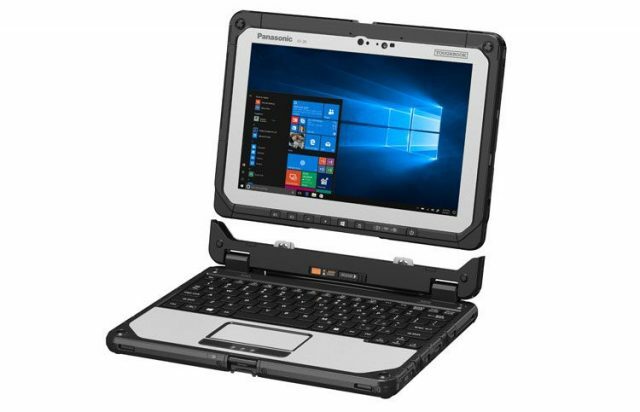 With all that being said, sadly, the Toughbook 20 won’t be sold directly to the consumers by Panasonic. In case you are interested in picking it up, you can head over to one of authorized Panasonic resellers or online stores. And as mentioned earlier, these laptops aren’t cheap either. The new Panasonic CF-20 Mark 2 is priced at $3,099. That’s definitely more than what you would pay for a normal laptop, but hey, all the extra cash will keep your laptop protected for a long time.